Our professional veterinary care team! 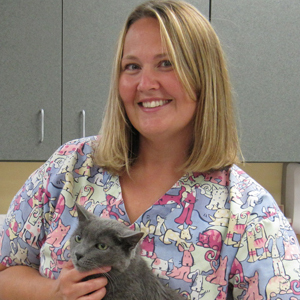 Meet the Veterinarians & Team of Huntley Veterinary Hospital in Huntley! We’re pleased to provide exceptional vet care for your pets! 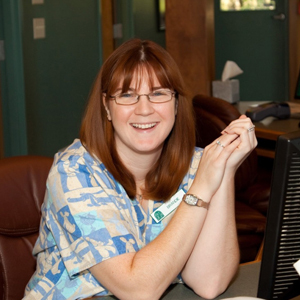 Please call us at (847) 669 – 5888 to speak to one of our caring veterinary staff members! 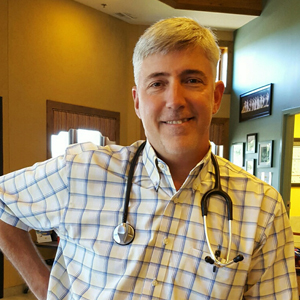 Dr. Joe is a 1990 graduate of the University of Illinois College of Veterinary Medicine. He began his profession by practicing both small and large animal medicine including embryo transfer work. Although he now only practices small animal medicine, he really enjoys the surgery aspect of his career, and is our orthopedic surgeon of the practice. In his spare time he enjoys fly fishing, playing cards and spending time with his family. 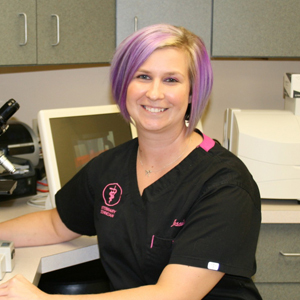 Dr. Jane is a 1991 graduate of the University of Illinois College of Veterinary Medicine who enjoys the variety that her profession provides. In her spare time she enjoys working out, cooking and traveling with her family. She and Dr. Joe have two children, Mathew and Anna. The family has a dog which they rescued, “Charlie” a Scottie Mix; along with “Batman” their cat. Dr. Hillary attended the University of Illinois, where she earned her B.S. in Animal Science and then her Veterinary Medical degree. She very much enjoys being a veterinarian because she truly loves helping animals. Her warm, compassionate demeanor helps to put both the pets and their families at ease. Dr. Hillary and her husband recently welcomed their new baby girl and are enjoying life as new parents! Along with their adorable little girl, they have two dogs, “Bandit” and “Porter”. 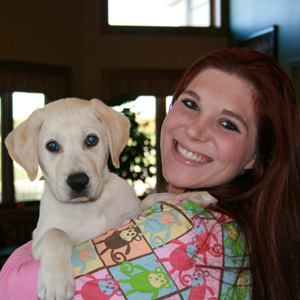 Dr. Andrea graduated from the University of Illinois College of Veterinary Medicine in 2013. 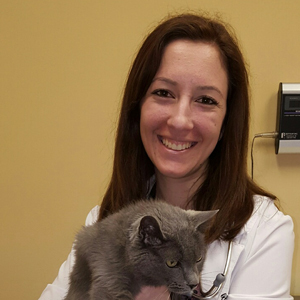 What she loves most about being a veterinarian is forming a bond with her clients through helping their pets. She also has a passion for solving puzzling medical cases. Originally from Los Angeles, California, she now lives in Saint Charles with her husband, Charlie, who is also a veterinarian. Together they have two cats, Bob and Bug, a rescued Italian Greyhound Luigi and a fish named Tom. In her spare time Dr. Andrea enjoys painting, gardening, and attempting to cook. 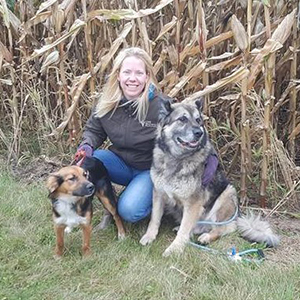 Dr. Sarena attended the University of Illinois for her Bachelor’s in Animal Science, University of Wyoming for her Master’s in Microbiology, and finally earned her Doctor of Veterinary Medicine degree from Colorado State University in 2016. 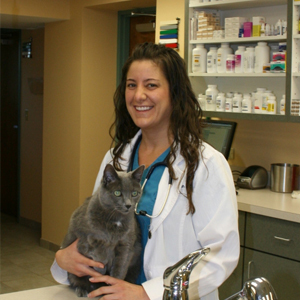 Her interests in Veterinary Medicine include infectious disease, preventative care and internal medicine. She enjoys educating clients on a multitude of subjects and forming a bond with their pets. Dr. Sarena has four fur children of her own; two dogs, Faolan and Halas and two naughty but entertaining kitties, Nifs and Tango. She enjoys working out, agility training with Halas and kayaking in the summer. 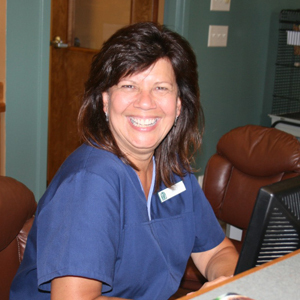 Sue has worked for the HVH since 2003, she enjoys watercolor painting, reading, chocolate and wine tasting. 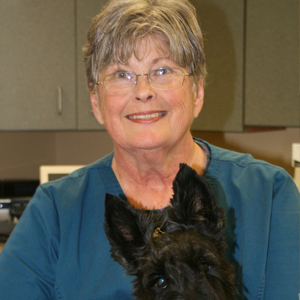 She is currently the Chairman of the Illinois Scottie Rescue, and enjoys raising and showing Scottish Terriers. Brandie started working for the HVH in 2005 following a 10 year career in the zoo field as an Animal Keeper/ Elephant Trainer. She graduated from the University of Illinois, with a Bachelors Degree in Biology and enjoys spending her free time with her husband and their two children. 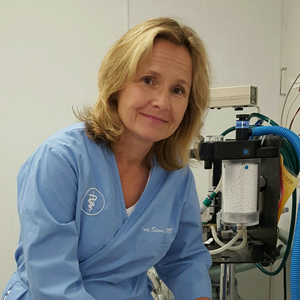 Cheryl started at HVH in 2016, prior to this she had worked in the veterinary field for 16 years. She shares her home with her dog “Mia”. In her spare time she loves spending time with her two doughters riding their three horses; “Jack”, “Chanel” and “Ivy”. Nancy has worked for the HVH since 2011 and has recently Retired. She and her husband enjoy spending their free time volunteering for the American Brittany Rescue and camping in their RV. Nancy will be working here from time to time, so we wont say goodbye yet! 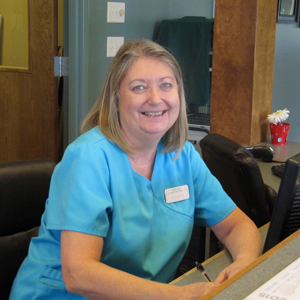 Brenda has worked in the veterinary field since she was 16 years old. She attended the Veterinary Technician Program at Parkland College in Champaign, IL and became certified in the spring of 1999. She has been employed with the HVH since Feb of 2002.Brenda shares her life with her husband Todd and their 4 kids; Allyson, Hayden, Madelyn and their new addition, Brysen. 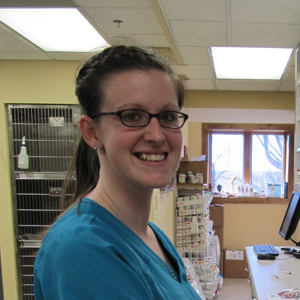 Jessica graduated from the Veterinary Medical Technology Program at Joliet Junior College in 2006. She spends most of her free time riding her horses Cartouche and Corona. She also enjoys playing with her dachshund Guinness and pet sitting. 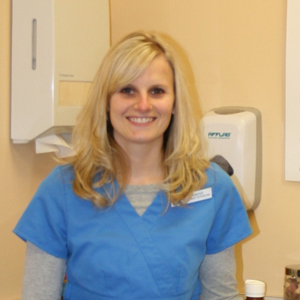 Jennifer graduated from the Veterinary Medical Technology Program at Joliet Junior College in 2006 with Jessica. She has worked for HVH since 2011 and is currently working part time due to the fact, that she and her husband have recently welcomed another new baby boy into their lives. In the little spare time that she has, she enjoys gardening, taking walks with her family, and spending time with her pets Avery(Lab) and Candy(Cat). 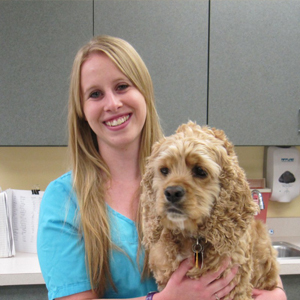 Sarah graduated from Michigan State University in May 2015 with her bachelor’s degree in Veterinary Technology. Sarah grew up in Michigan and just recently moved to Rockford, IL with her cocker spaniel, Noah. Sarah started working for HVH in May 2015 shortly after graduating. In her free time, Sarah enjoys walking her dog, horseback riding, kayaking and watching movies. 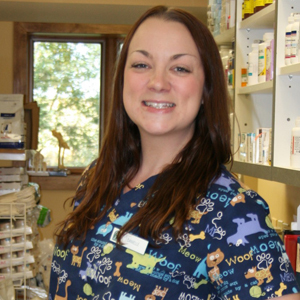 Danielle started working for HVH in 2007 as a Vet Assistant and is currently working on achieving her Veterinary Technician Degree. She enjoys the work that she does so much that she even takes her work home. Danielle has rescued her cat Kermit and dog Gracie (Lab) from the HVH. Danielle and her husband Kevin share their lives with their son Holdyn and new baby boy Sylas. Katelyn started working for HVH in October 2016. She has a degree in Zoology from Madison, Wisconsin and has recently moved to the area. In her free time, Katelyn enjoys riding horses, camping, hiking, anything outdoor related. Ciera has worked for the HVH since 2014 She enjoys cooking, hunting/fishing with her dad and spending time with her “furry” kids. 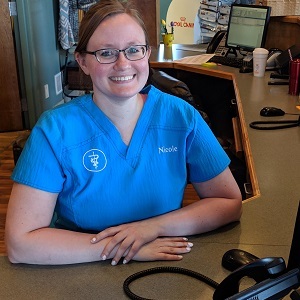 Nicole started working at HVH in August 2017. She graduated in 2013 from Bel-Rea School for Veterinary Technology. In her spare time, she enjoys reading and spending time with her dog, “Ashka” and two guinea pigs, “Pepper” and “Penelope”.